Our July Membership Meeting will be hosted at Fed Ex at the Troutdale "TRIP" location.. We will have Sen. Betsy Johnson, Sen. Laurie Monnes Anderson and a representative from Boeing on hand to discuss the Advanced Manufacturing Research Center (AMRC) in Columbia County and how we can bring industry and education together in our region as well. This meeting will be limited to 20 members so please register early. Senator Betsy Johnson (D-Scappoose) is serving her third term in the Oregon Senate. Her father, the late Sam Johnson, was a member of the House of Representatives from Redmond. 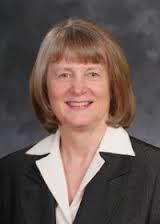 Her mother, Becky Johnson, served on numerous State Boards, including the State Board of Higher Education and the Teachers Standards and Practices Commission.Senator Johnson received her undergraduate degree in History from Carleton College (Northfield, Minnesota) and her Law degree from the Northwestern School of Law, Lewis & Clark College. 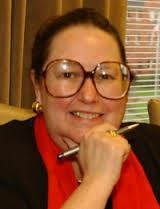 A licensed commercial pilot of both fixed and rotor-wing aircraft, she founded Transwestern Helicopters, Inc., in 1978. Laurie Monnes Anderson was elected to the Oregon Senate in 2004 after serving 2 terms as a Representative for District 50. She currently represents Senate District 25, which encompasses the cities of Fairview, Gresham, Troutdale & Wood Village. She is a long-time resident of Gresham and attended Gresham High School. She is a retired public health nurse and manager.Outside of the Legislature, she serves on many boards, including the West Columbia Gorge Chamber, and the Human Solutions Board. She is a member of the Oregon League of Women Voters, the American Association of University Women, the Gresham United Methodist Church, the Oregon Child Care Commission and Stand for Children. MHCC President Dr. Debra Derr began her community college career as an adult returning student at Clackamas Community College more than 30 years ago. She has held various positions in community college education, including as professional support staff, faculty and administrator. She has served as a senior administrator in the states of Oregon, Wisconsin and Iowa before returning to Mt. Hood Community College as the tenth president in its 49-year history. Dr. Derr holds a BA in Business Administration from Linfield College (OR), a MS in Counseling from Portland State University (OR) and an Ed.D. in Community College Leadership from Oregon State University. Mr. Gerry, Program Manager in Boeing’s Global Technology organization, is responsible for developing and managing research and development alliances domestically and internationally, providing a key interface between Boeing programs and third party technology providers. Before joining Boeing Research and Technology, Mr. Gerry was responsible for supporting the Boeing Venture Capital Strategy within the Phantom Works organization, interfacing with international venture funds to identify and transition start-up technology solutions into the Boeing Enterprise. Mr. Gerry’s academic degrees include an Undergraduate degree in Mathematics from Central Washington University and an MS in Engineering Management focused on the Strategic Management of Technology and Innovation from Washington State University.